Our technology adapted to the little ones. Based on the results obtained from the ANI technology on the monitoring of non-communicating adults patients, 3 more years of research and development were necessary to give birth to the NIPE index (Newborn Infant Parasympathetic Evaluation). 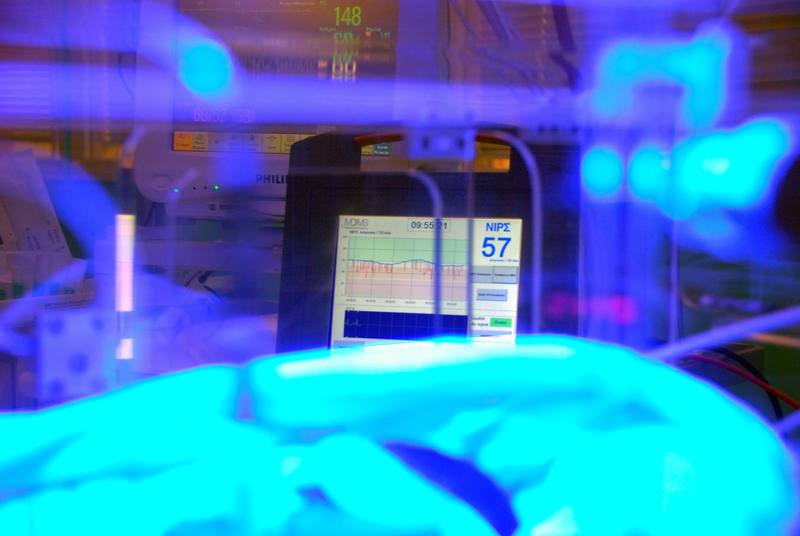 The NIPE technology enables the evaluation of the parasympathetic part of the autonomic nervous system of newborns, from premature to the age of 2 years, from the electrocardiogram provided by the multi parametric monitor. The NIPE index provides an objective value of neonatal wellbeing. Its use does not require additional sensors. 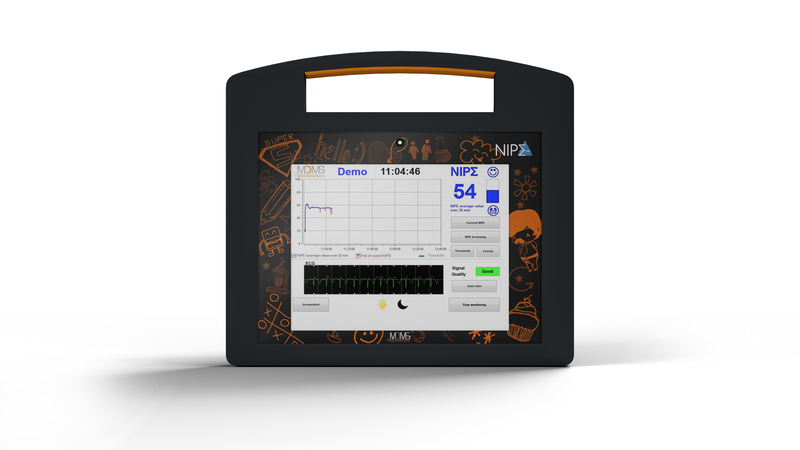 The NIPE monitor offers a value between 0 and 100 corresponding to the activity of the parasympathetic component of the patient’s autonomic nervous system. The higher the value of the NIPE index is, the higher patient’s comfort is important. Numerous experimental and clinical studies have shown that newborns are particularly sensitive to stress. Each situation causing pain or discomfort can alter their neurodevelopment and cause long term consequences with an increased risk of developing cardiovascular and metabolic diseases (hypertension, diabetes, obesity …) but also have cognitive influences that may lead to a depressive behavior or an addictive behavior(cf DoHAD). The value of the NIPE index is reduced in case of postoperative pain and increased during development cares as cocooning and skin-to-skin contacts. It is essential to reduce and prevent as much as possible stress and/or painful event that may occur before the age of two years old. The means available for medical teams are mainly pain assessment scales, based on a behavioral evaluation. Unfortunately, these observations are time consuming, they require a continuous observation of children and are subject to a great variability within and between observers. In a single medical device, the NIPE Monitor V1 is able to provide important information for an optimal care of hospitalized children: assessment of stress and/or prolonged pain, an assessment of the response to an acute pain stimulus and an assessment of the wellbeing increase generated by the development cares (cocooning, skin-to-skin …).